When I eat a sandwich, I want it to be both filling and delicious. 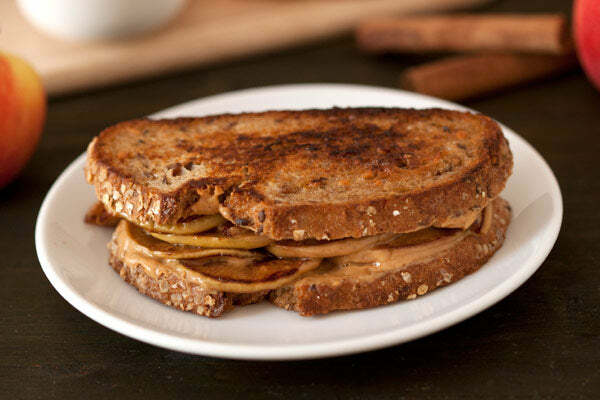 This hearty sandwich is packed with sauteed and very lightly sweetened cinnamon apples and peanut butter. 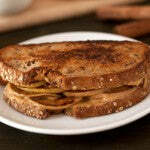 Warm, gooey, and a little messy, this will please both kids and adults! 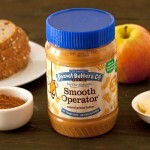 I used Smooth Operator here it can also be made with Mighty Maple, The Bee’s Knees, or Old Fashioned Crunchy. 1. 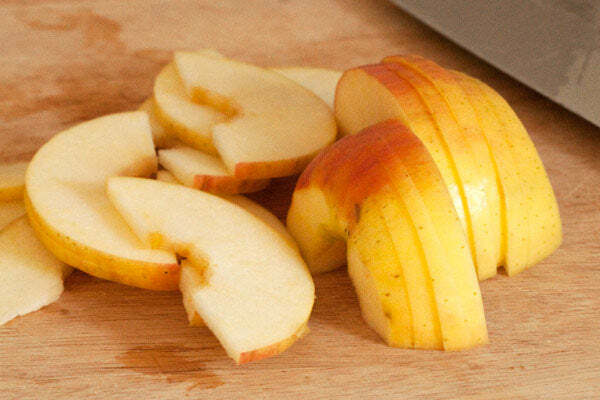 Wash, core, and cut the unpeeled apple into 1/8” slices. 2. 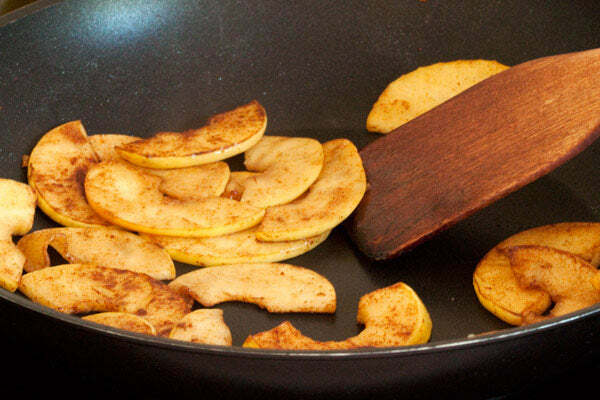 Add 1 tablespoon of butter, cinnamon, brown sugar, and water to a large saucepan over medium heat and stir to combine. Add the sliced apples and make sure to coat them in the liquid mixture. 3. Cover the pan and simmer the apples for 5 minutes, stirring occasionally. The apples should be slightly soft but still crisp. 4. Add the vanilla to the pan and mix the apples to make sure that the vanilla gets incorporated. 5. 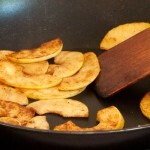 Remove the apples to a plate and leave behind any liquid in the pan. 6. Melt another tablespoon of butter in the pan. 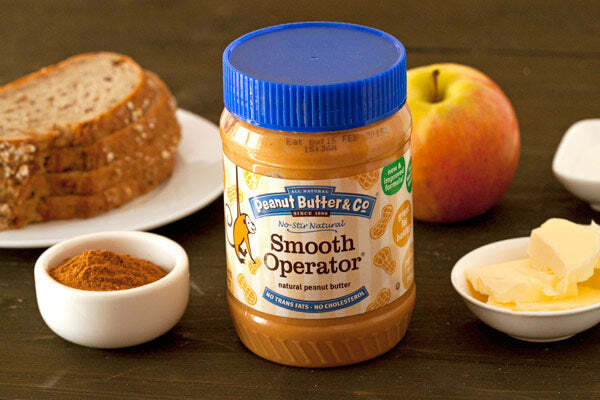 Spread 1–1 1/2 tablespoons of peanut butter on one side of each piece of bread. 7. 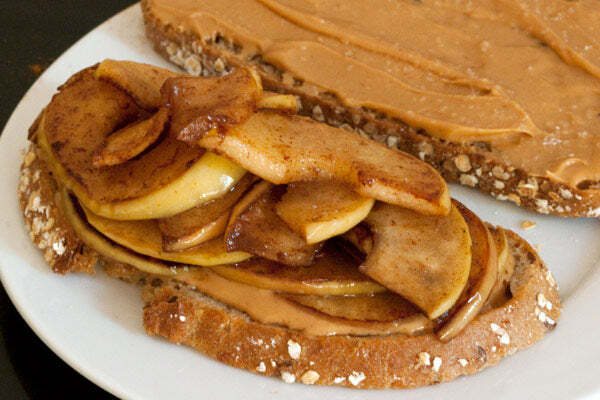 Divide the sauteed apples in half and place each half on one piece of bread. 8. 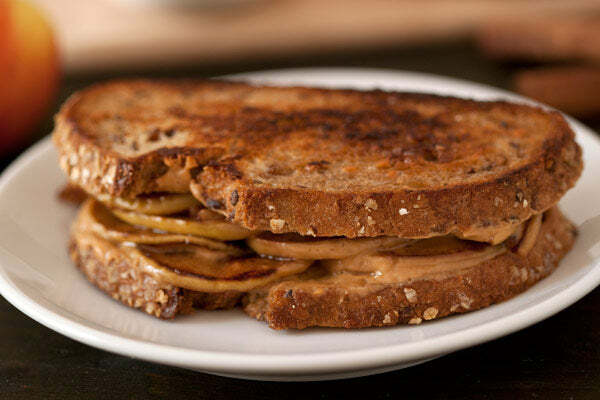 Place the remaining two pieces of bread, peanut butter side down, on top of the apples. 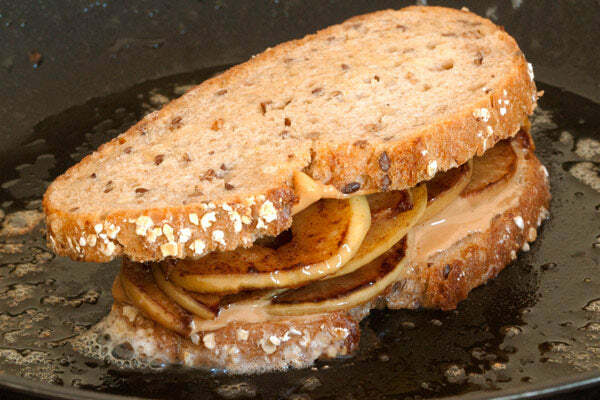 Cook the sandwiches over medium heat until brown, about 2–4 minutes. 9. 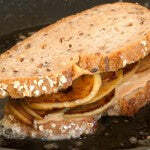 Carefully flip the sandwiches over and cook the second side for another 2-4 minutes. Remove the pan from the heat and serve immediately. 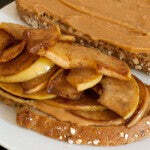 In this recipe Erin adds apples to a peanut butter sandwich. Which variety of apples would you use? 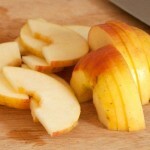 Macintosh, Granny Smith, Fuji? – The giveaway is open to USA residents only and will run until Monday, October 14 2013 at 11:59 PM EST. – Winner(s) will have until 10/17/13 to claim their prize or we will choose another winner. 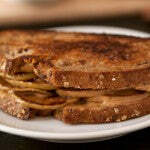 The post Grilled Apple Peanut Butter Sandwiches appeared first on - Peanut Butter & Co. Recipe Blog.